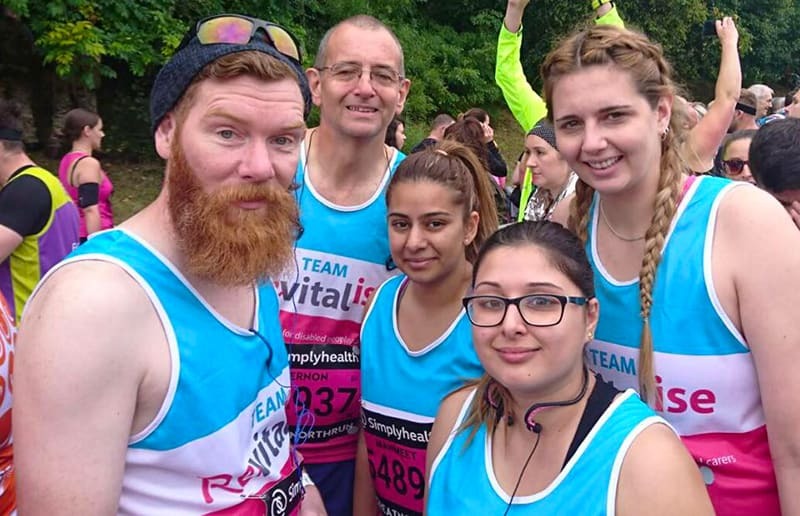 A team of Revitalise runners dubbed the ‘Famous Five’, comprising four brave Sandpipers team members and one of their dads, completed the Simplyhealth Great North Run in Newcastle on 10 September for Revitalise. The Famous Five were part of Team Revitalise’s several hundred runners in the event. This amazing turnout was made possible thanks to our having been chosen by our good friends at Simplyhealth as their nominated charity for the Great Run Series, which has been sponsored by Simplyhealth this year. The Simplyhealth Great North Run on Tyneside is the UK’s largest half marathon. This year over 43,000 runners took on the famous 13.1 mile course. Flying the flag for the older generation, Vernon Yule came in first, with a time of 2 hours 10 minutes, closely followed by Dave, Mini, Rachel and Fifi. Needless to say, the Revitalise events Team was out in force for the big day, setting up a very enthusiastic cheering post and a marquee to welcome the tired but proud runners and reward them with medals and refreshments. 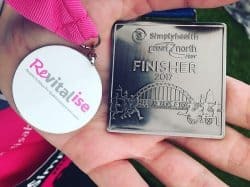 And of course we must give a special mention to Jamie Jones, a heroic Simplyhealth team member, who is running every single one of the Great Runs for Revitalise. 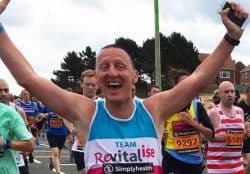 When the Series is complete this will have been a titanic achievement and Revitalise has been quick to show its huge appreciation to Jamie and the hundreds of runners who are supporting Revitalise across the Great Run Series. People can still donate to Revitalise via the five’s Just Giving page and they can support Nicole’s fundraising effort here.